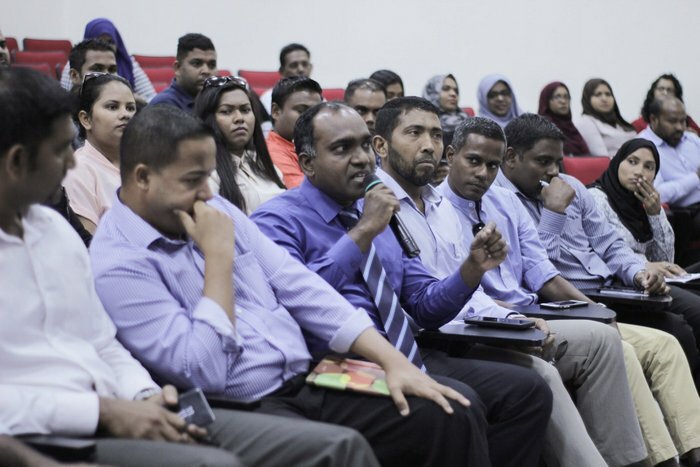 Maldives Association of Human Resource Professionals (MAHRP) has hosted its first event: a conference on workplace law. 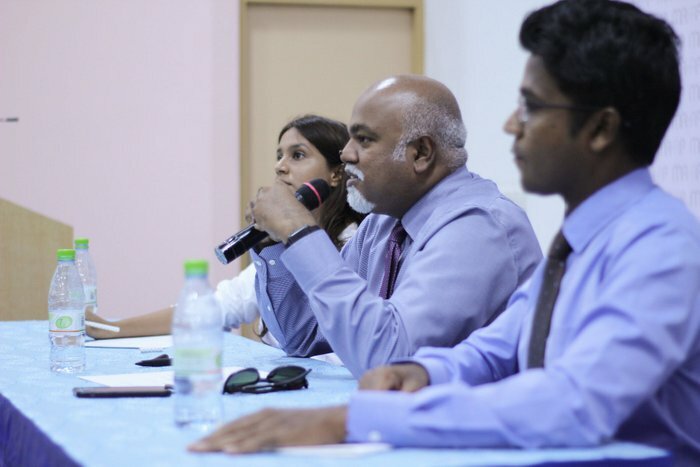 Part of MAHRP’s Knowledge Share series and held jointly with Maldives Law Institute and Maldives National University’s (MNU) Faculty of Hospitality and Tourism Studies, the event took place on Monday at the MNU auditorium. Prominent local lawyers, including Hussain Siraj, Mohamed Shahdy Anwar and Mariyam Manal Shihab facilitated the conference, while 57 leaders in HR from both the private and public sector attended the event. Major corporations that were represented at the conference include Bank of Maldives (BML), ADK Enterprises, Maldives Airports Company Limited (MACL), LUX* Resorts and Hotels, Vakkaru Maldives, Kandima Maldives, and S Hotels and Resorts. Discussions were focused on key areas of grievances, attendance, leave compensation and benefits. Attendees were also given a copy of the book, ‘Maldives Employment Law,’ authored by conference facilitator Manal Shihab. “We are committed to improving human resource management in the Maldives by hosting regular knowledge sessions and by including all HR professionals in a joint effort to enrich and build human capital,” MAHRP President Hussain Afeef, who serves as the Regional Director of Training, Development and Quality Assurance at LUX* Resorts, said. Inaugurated in February, MAHRP is the first professional association registered in the Maldives, dedicated to human resources and people development.